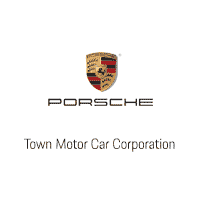 Town Porsche is the premier Porsche dealer for Bergen County and the Tri-State Area. With over 70 years of customer-driven service, we strive to ensure that you have the best Porsche experience in NJ. Browse our extensive inventory, schedule a service with our factory-trained Porsche Technicians or enjoy all of the many offerings our Porsche boutique has to offer. We selectively choose each member of our Town Porsche team for their high level of competency, vast knowledge of motor vehicles, eagerness to learn late-breaking technology, and their ability to relate to drivers from all regions – including Porsche enthusiasts in Paramus and Yonkers. We’re committed to keeping Town Porsche a pressure-free environment by offering the best possible service to our loyal customers. Visit us today to test drive a vehicle from our wide selection of fantastic new Porsche models. All ready to commit to Porsche? Value your trade ahead of time. Interested in customizing your Porsche? Our Porsche Brand Ambassadors can modify your vehicle to the specifications you desire. When it comes to Town Motors Porsche, our team goes above and beyond to satisfy your every want and need. Visit Town Porsche today! We are located in Northern NJ, in Bergen County just minutes from New York City. Please come see us at 105 Grand Ave, in Englewood, NJ 07631. Your Friends at Town Motors Porsche look forward to seeing you!